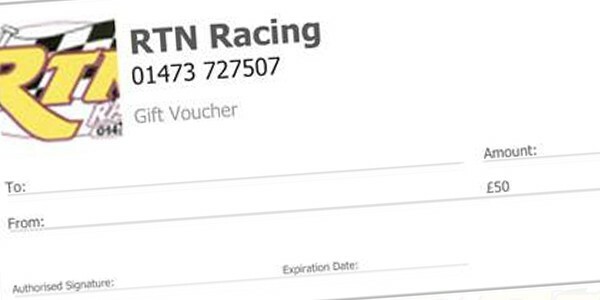 Introducing the RTN Racing Gift Voucher, ideal for Christmas and all other special occasions. You can select any value you would like using the form to the right! These vouchers can also be used as a payment towards an outstanding bill a customer may have with us.